We have been having some very cold temps here lately scattered in among the Spring like temps that the South is known for. But, we have been getting down in the low 20's at night and not getting much above 40 during the day. That is cold here. So today I thought I would share how I spend some of those cold afternoons and evenings. Curled up in this comfy little corner of our family room in my comfy chair with my very comfy fur throw and usually a cup of hot coffee and the fireplace on. For Christmas Papa and I bought these wonderful brown leather chairs and ottomans for our family room. We bought two so we could both have one. We have always had recliners but to tell you the truth I was sick of them. They are so cumbersome and not at all stylish. So when we were out one day and ran across these on sale - they peaked our interest. T had one before and said they were the most comfortable chairs but I scoffed. I mean really ! Well, I sat down in one and I mean it was holy moley I am in love! They are the most comfortable chair I have ever sat in. 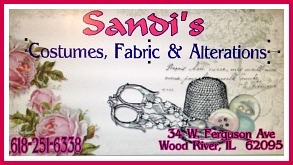 You can use them with the ottoman or without and they swivel and recline. I mean what's not to love about them? I love that the leather can be wiped clean with a damp cloth - so easy to care for. And did I say they are really great for snuggling up in your favorite blanket next to a nice warm fire and read a great book till you doze off because they are great for dozing in also. Can you tell I love my new chair? How do you spend these cold winter days and evenings - do you have a special place you like to snuggle in? Tell me about it in the comments below. Thanks for stopping by and until next time have fun creating something you enjoy. I will be linking to the parties listed on the Where I Party Page. 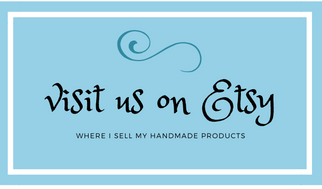 Stop by a few and check out all the awesome inspiration and creativeness you'll find there. 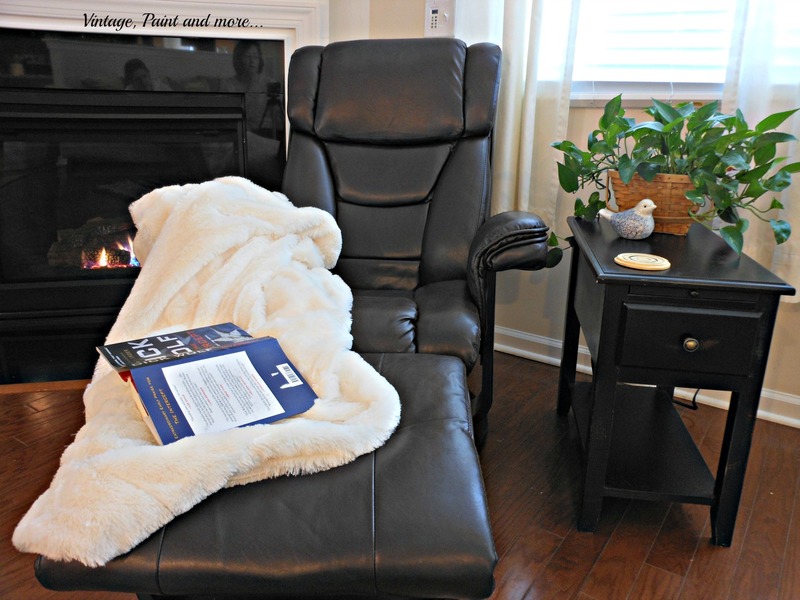 Oh I live by the comfy chair, warm, fuzzy blanket, and a good book creed! That chair DOES look pretty amazing! 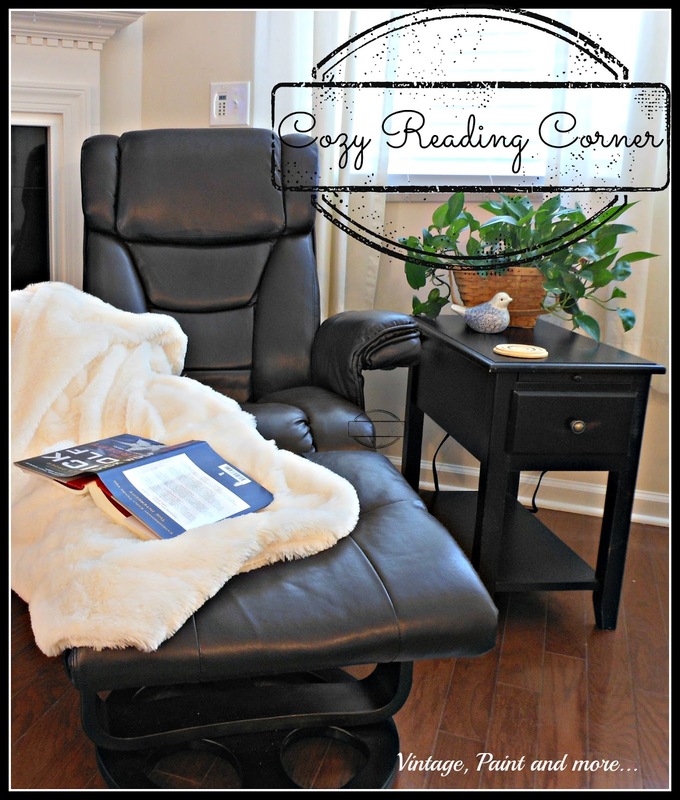 I love your cozy reading corner! I need to go curl up in my own...we've got a big snow storm coming! I totally want to curl up with a good book in your reading corner! That chair looks so comfy! I totally want a reading corner! I have a wrap around couch that has the semi chase lounge part on it that i lay on when I am reading. I would love to buy a super vintage fancy looking chase lounge though. I think they are so pretty and relaxing looking! I would probably always be sitting in it though lol. love your cozy corner and chair. I have a small love seat and a nice blanket (quilt) we have loads of snow, (Boston) so we watch tv, read and snuggle. What kind of chair is yours, it looks great. 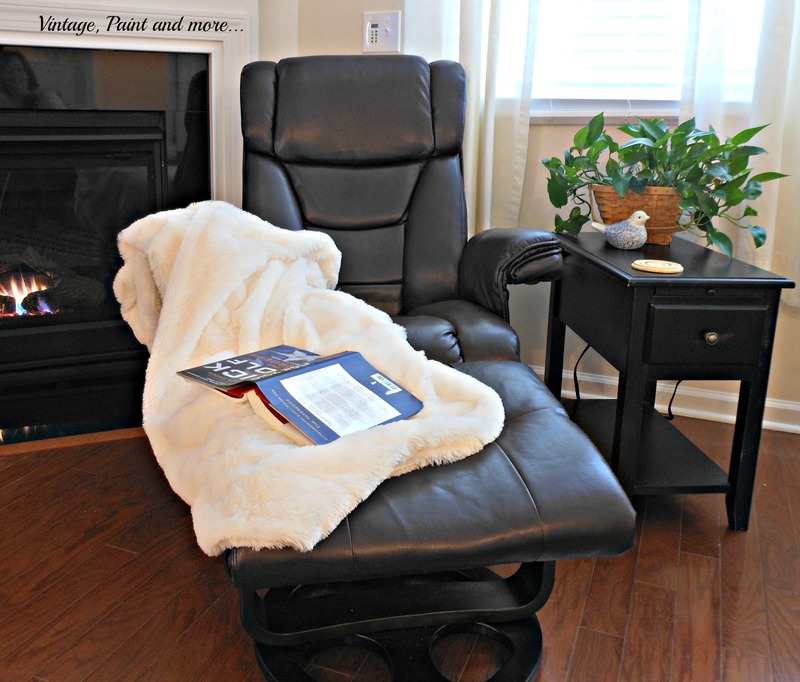 Love your cozy reading spot! I need these chairs for hubby's man cave! Thanks for sharing on Something to Talk About Link Party! It's so nice to have a cozy spot to snuggle up and be comfy. The really look like they are fabulous Cathy! Thanks for sharing with SYC.